Is it safe to reheat or reuse leftover sushi rice the next day after it’s been held at room temperature for one meal period? Our sushi chef claims it's safe. In my opinion, it should be discarded after service each night. – Executive Chef, Beach Haven, N.J. While it may technically be allowed to reuse sushi rice held at room temperature in certain circumstances, I advise against it. Cooked rice is considered a TCS (time/temperature control for safety) food, formerly referred to as potentially hazardous foods. In short, these foods are especially conducive to microbial growth, and therefore, their time in the danger zone (between 40 and 140 degrees F, though it varies slightly by municipality) must be minimized. Limit its time in the danger zone by holding it in the refrigerator or a hot holding cabinet until use (which raises quality issues). Use time as a public health control by allowing it to stay at room temperature but discarding it at the end of the allowable time period (which varies by municipality). Apply for a variance with the health department, which allows the sushi rice to be reclassified as a non-TCS food. Some of the confusion regarding sushi rice has to do with its seasoning and acidification. It is true that adding seasonings including salt and rice vinegar make the cooked grains less hospitable to microbial growth. It is possible to get a variance from many health departments if you acidify sushi rice to a pH of 4.2 or below, file an approved HACCP plan and maintain a daily pH log. For a restaurant not formally following this process, the sushi rice should be treated as a TCS food. Exact codes vary by municipality, but general best practices are to apply for the variance but continue to limit excessive time in the danger zone by cooking more frequent smaller batches rather than one giant batch. In addition to improved safety, you’ll have improved quality from fresher rice. 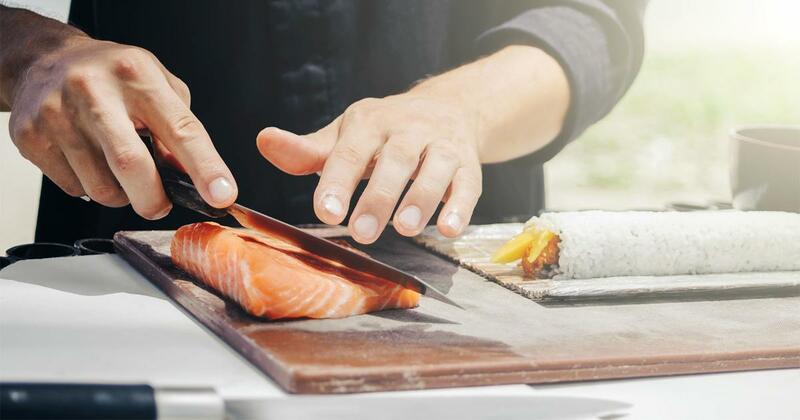 While the time requirements may vary by your jurisdiction, whether you have a variance, and your HACCP plan, your best bet to be compliant is to discard any leftover cooked sushi rice held at room temperature at least after every meal period. While I hate to see wasted food, guest safety is paramount. As always, be proactive by seeking guidance from your local health department to make sure you are following the best practices and won’t be surprised at the time of inspection. More on sushi safety here. Do sushi chefs deserve tip outs?